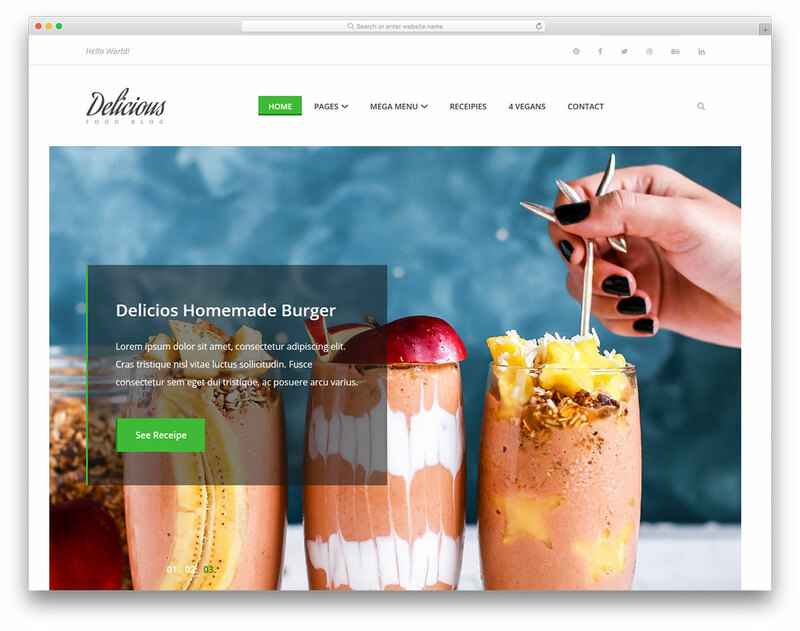 Luto is ready to bring your tasty and delicious foods to the online space in the form of a free restaurant website template. 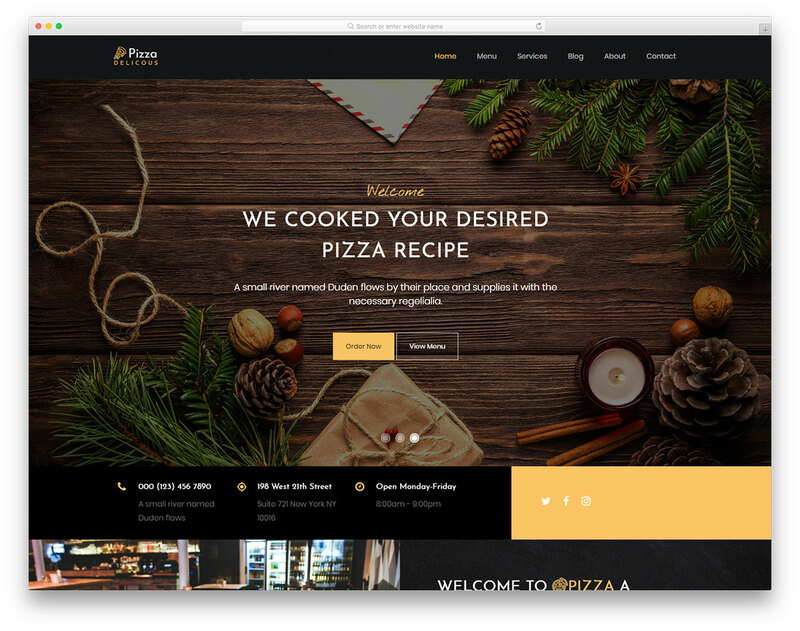 The web design and the features of Luto are so advanced, you do not need to look for another tool to help your cover the creation of your page. It is all there, just a click away. 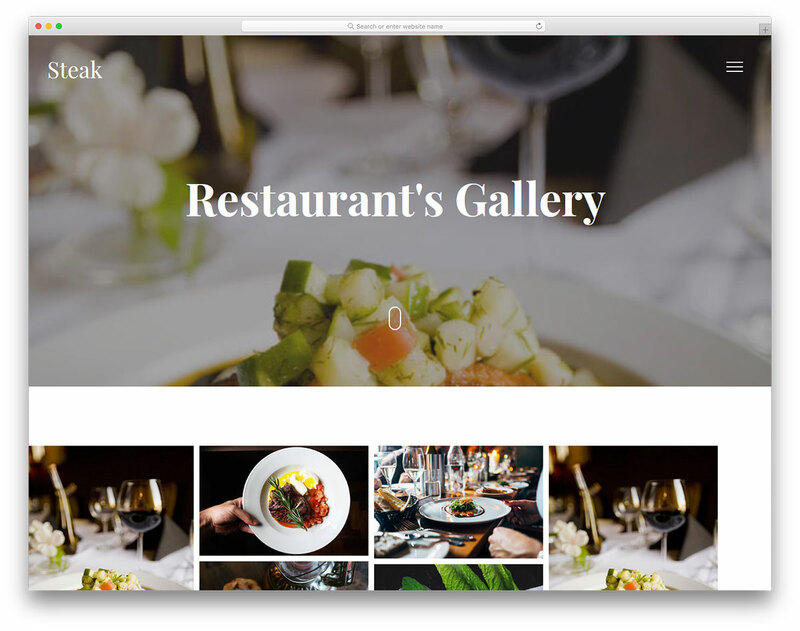 Moreover, Luto is an easy to use website template for restaurants with many supreme assets. 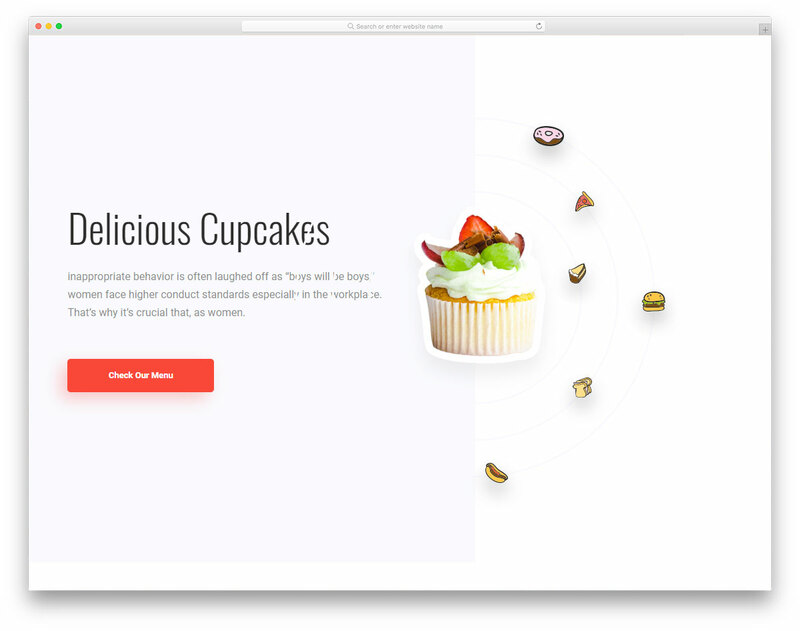 From an enticing full-wide slideshow, parallax and hover effects to video support, astonishing filterable foods and drink menu and Instagram widget. Besides, down at the bottom, you will also find a handy reservation form with date and time pickers. 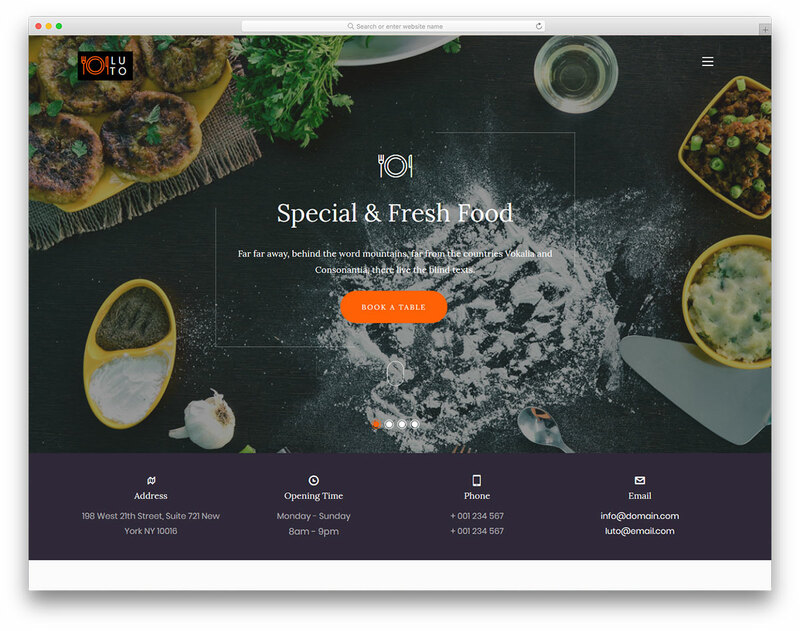 When you need a product that speeds up the creation of your web presence for your food business, look no further than Luto. it is not possible to install the theme. The following themes are installed but incomplete. 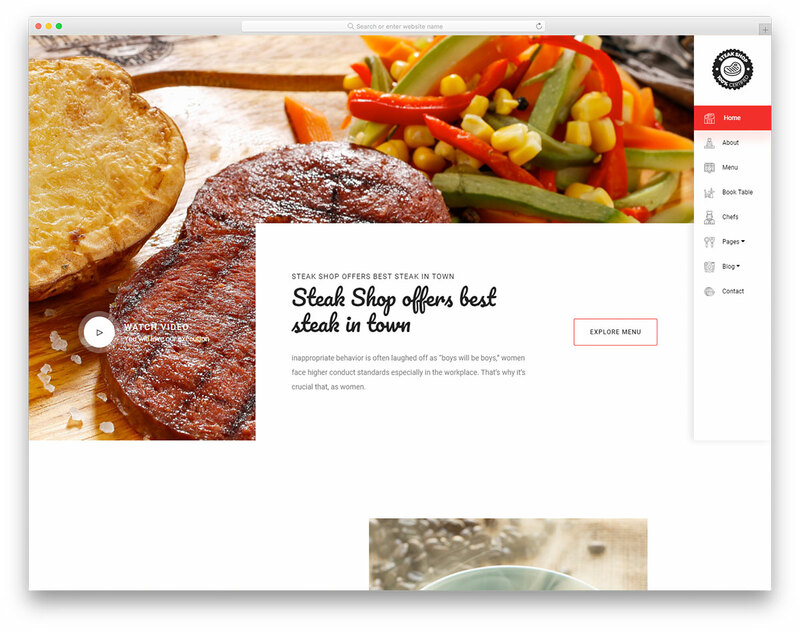 luto/css Template is missing. Standalone themes need to have a index.php template file. Child themes need to have a Template header in the style.css stylesheet. 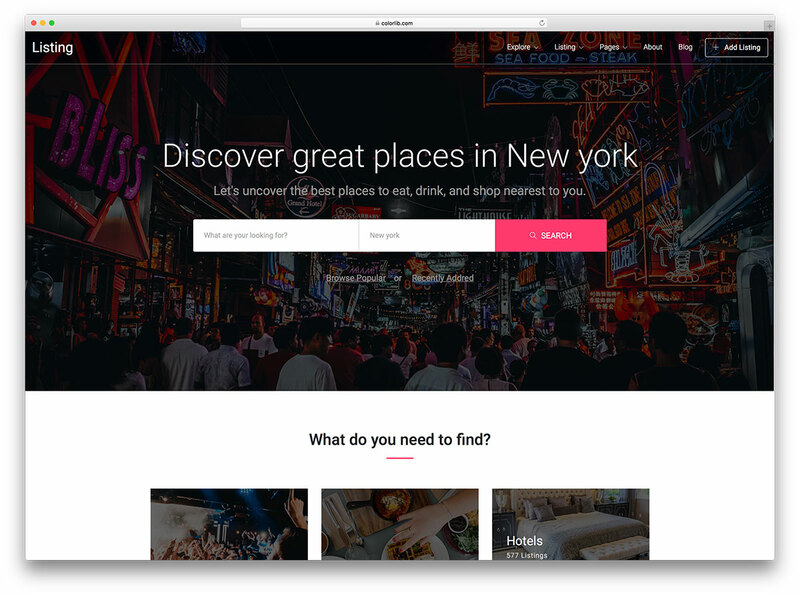 That’s as expected because it is not a WordPress theme but a simple HTML template. That means, no chance for me to use it with wordpress ? Not by default but you can turn into a WordPress theme if you are a developer or you happen to have one that can help. Why none of the PREVIEW links work. They all go to a generic or default website. Haven’t been able to preview 1 theme. Fix this error please. Would like to use 2 themes. Works perfectly find for us. Let me know what device and browser do you use so we can investigate it.